A backflow preventer is a device used to protect water supplies from contamination or pollution. When pressure in pipes suddenly drops, there’s a danger of contaminated water suddenly backing up into the pipes, which can put people at risk of becoming sick. Backflow preventer testing can help ensure your backflow preventer works properly to keep your home or business protected. If you need backflow preventer testing in Delaware or Maryland, call Peninsula today! 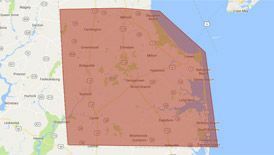 If you need backflow preventer testing in Delaware or Maryland, don’t wait—call Peninsula today at 302-629-3001302-629-3001 or click here! Those are just some of the items that use backflow preventers. 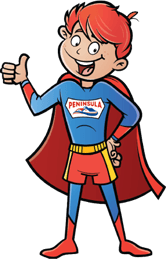 As a licensed plumbing company in Delaware and Maryland, Peninsula can provide testing and maintenance services for backflow preventers all along the Delmarva. Why should you test your backflow preventer? According to the CDC, a cross-connection aboard an Alaskan crab vessel caused a backflow of sewage that resulted in 189 employees becoming ill and endangered about $35 million worth of processed crab. Copper sediment contamination in a beverage mixing tank caused four in a residence hall at a Michigan University to get sick. Carbonated water back-pressured into the potable water supply through faulty check valves on soda dispensing equipment in a San Antonio lounge. At a large public meeting facility and sports arena in Seattle, bright blue water was flowing from drinking fountains in the lobby and sinks in the concession area. Several people reported general nausea. The pressure of the carbonation equipment far exceeded pressure in the water main. Need backflow preventer testing service? Backflow preventer testing: our licensed, bonded plumbers can test your backflow preventer, including tagging all your backflow prevention devices and completing the required paperwork. Backflow preventer repair: our certified, trained technicians can make any required repairs so your backflow preventer runs smoothly. Backflow preventer installation: we can determine the proper backflow prevention method and the type of backflow protection required for your device. To find out more about our backflow preventer services, contact us today!